Review and unboxing of the iCEBERG yoyo from iYoYo. 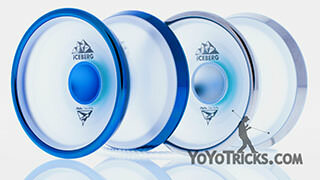 This is the iYoYo iCEBERG. It is plastic metal hybrid design. 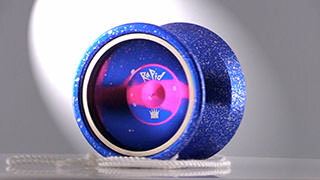 A number of yoyos have come out with a similar design recently. We feel like the iCEBERG is the first one to really catch our attention. The did a lot of things right. So I am really excited to tell you about this one. 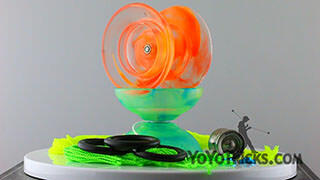 As you can see it comes in the standard iYoYo Box. It does come with a string. 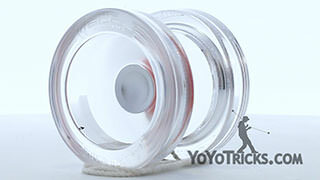 It also comes in these nice plastic clamshells that help keep the yoyo safe while it is being transported. Pretty simple elegant box design, we like it. So the iCEBERG, just talking about some of the specifics, the first thing that you will notice is that it has got these stainless steel rims on it. The center is made out of aluminum which has been blasted so it is really good for finger spins. Then the body is made out of polycarbonate. As you can see, you can see through it a little bit, especially when you are doing grinds and stuff. 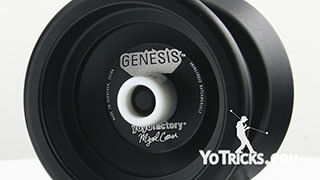 I think the best way to tell you about how good this yoyo turned out, is to compare it to another similar yoyo, probably the one it is based on, which is the iYoYo Steel. 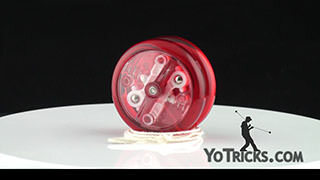 Now, this yoyo is one that we really love. 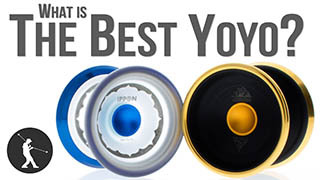 Back in 2015, it was our top pick in our buyers guide for bi-metal yoyos. We feel like the iCEBERG, when compared to the Steel, it bests it in pretty much every way. 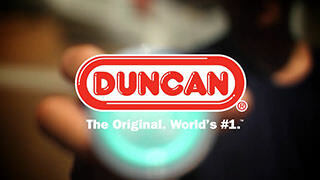 I know that when you are looking at this, you are thinking how could a plastic yoyo actually be better than an aluminum yoyo? But that is kind of the magic that they achieved through the iCEBERG. So that is what I am going to talk about. First of all you can see the the designs are really similar. 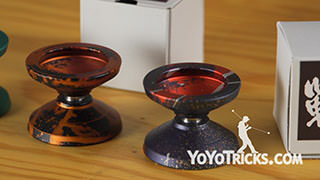 Especially when you put the yoyos up like this, side by side. There have been some changes in the design, which we feel are improvements. So you can see this step coming off the bearing here has been exaggerated on the iCEBERG. That makes it a little bit better for horizontal. It also makes it just a little tiny bit more tilt resistant, which is great. You will also notice that the rims are thicker on the iCEBERG. That is because the plastic body is lighter than the aluminum body. So they could put more weight in the rim. That is the real key to what makes the iCEBERG a superior yoyo overall. You see, if you think about the stainless steel rims compared to the polycarbonate, the stainless steel is seven times more dense than the polycarbonate. 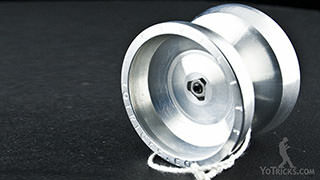 So what you want out of these kind of hybrid designs where you use two different types of materials, is you want as great a differential as possible between the material that you put on the rim of the yoyo, in this case stainless steel, and the body, so that you can really feel the weight of that on the outside edge of the yoyo. Now, on a standard aluminum stainless steel bi-metal yoyo, the stainless steel is only three times heavier than the aluminum. So you can achieve a much greater differential with plastic than you could with aluminum and that is really what makes this yoyo shine. 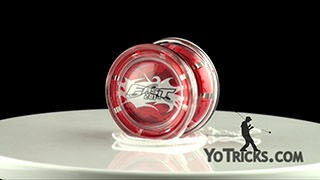 You can put so much more weight on the rim of the yoyo, that is just has got so much power. 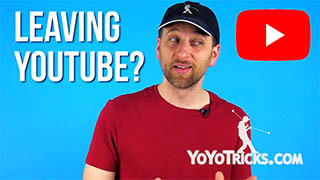 So when you are doing your longest combo that you know how to do, and it has got all these elements that really push the yoyo to the limit, if you do it on the iCEBERG, when you bring the yoyo back to your hand, you are going to be surprised by how fast it is spinning because it really maintains its spin really well because of that extra power. Now, I know that when you are kind of looking at these yoyos, the big questions is, can plastic really, honestly, play as good as aluminum? 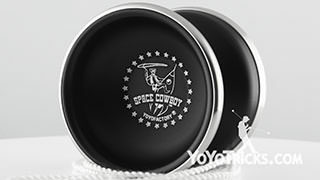 There have been a number of times in the history of yoyo where companies come out with a new plastic design, and they are like “We finally did it, we have got a plastic yoyo that plays as good as aluminum. 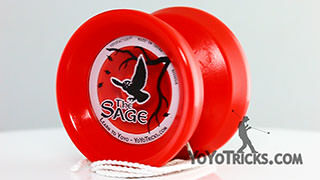 Usually, those yoyos play fine, but they never live up to the hype. In this case we feel like the iCEBERG is superior. But how did they achieve that? Well, most of the time, with plastic, the reason it does not hold up is because plastic is often injection molded. So what they do is they kind of carve out a mold, then they inject really hot plastic into that mold. Then the plastic has to cool down, and that is where it gets its shape. Then they pull it out of the mold. Well, that process with the plastic cooling down, it cools down at different rates around the different aspect of the yoyo because different parts are thicker. That just messed with the precision a little bit, so that injection molding, is not as precise as what you can get out of aluminum, because aluminum has to be machined. It is spun really fast and they have these little tools that come in here and they dig out the aluminum so that it is absolutely perfect. So what they did with the iCEBERG is they used the same techniques. So instead of using an injection molding system and heating the plastic up, they just took a block of polycarbonate, just like you take a block of aluminum, and they put it on the same type of machine and they use the same type of tools to machine it. 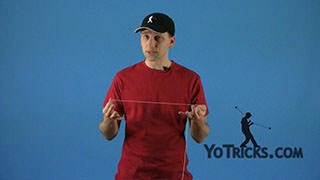 So, it has the same type of precision that you would get out of an aluminum yoyo. You can really feel that when you play it. 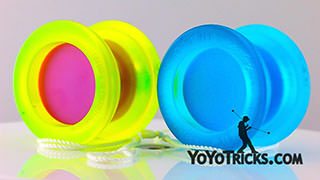 Whether it is on the string or whether you are doing your grinds, you just can not believe that a plastic yoyo can feel that smooth, but it really does. Because you get the benefits of the lighter plastic, it just makes for an all around superior product. Again, if you are just comparing the finger spin dimples, you have got the small area from the Steel, it is made bigger in the iCEBERG. Just on a lot of different levels, they just really stepped up the design. It is significantly less expensive than the Steel, just all around it is a better product. So, let us take a look on the inside. You can see again, they made really good choices here. The bearing is going to sit on metal as opposed to the plastic, so you do not have to worry about that breaking down. That works really great, it also helps it play as smooth as it does. 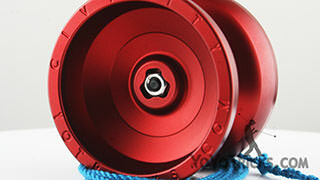 The bearing itself is iYoYo’s proprietary string centering bearing, it works great. One thing that surprised us is how much we liked these response pads. They are especially grippy, they are very consistent. So that was just one more piece to this yoyo that we thought, wow, they just paid attention to every detail, and it really plays great. Now, I think another thing that you might be wondering about is, it is going to be as durable, is it going to hold up to drops and things like that as well as an aluminum yoyo? So, one of the ways that we test that with yoyos is we just give it to Jake and we have him do a bunch of crazy 5A tricks. He likes the iCEBERG so much he has been playing with it in 5A for quite a while now, and it is still holds up, it still plays really smooth, it has been taking a beating which, even a lot of bi-metals are not about to do that. It has totally passed the test. It is just a really well executed design, all around. 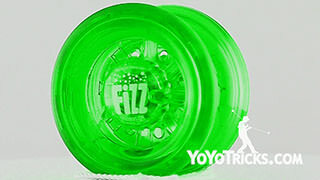 The yoyo itself, they described it as being frosted. It is similar to the texture of like bead blasting, or something like that. What that means in practical terms is that it has got this really nice look to it. On grinds it seems to grind, might even be just as long as aluminum yoyos. It feels super good when you are using it. It is just the whole package. You know I am always a little dubious when I try plastic yoyos that are trying to be as good as metal, and this is the first one where I feel like, yeah, they actually achieved it. So, let us take a look at how it plays. 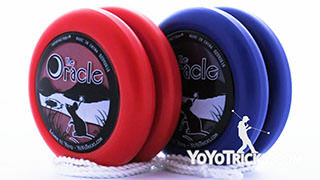 Since the iCEBERG is such an unusual yoyo, it is going to pair some unusual characteristics. The first thing that you will probably notice about it is that it does play on the lighter side, it it just under 66 grams, which is guess is on the more normal side of light, which means it is really easy to move around and manipulate during your tricks. It is also really east to get it to move quickly. 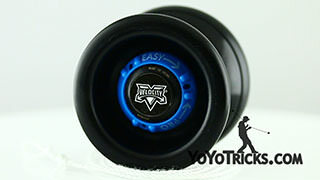 But it is not one of those yoyos that demands to be moved fast. Also because of how rim weighted it is, you are going to be able to do really long combos, and it is going to be a lot more forgiving during your tricks in general. Now, as we already mentioned, it does have that extra large step coming off the response pad area, which makes the shape a little bit better for horizontal. 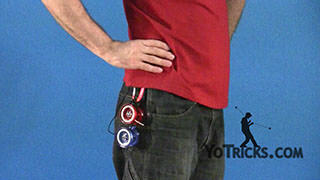 But when you pair that with how rim weighted the yoyo is, it ends up being really forgiving, but also moves really quickly as you go through your horizontal tricks, which if you are just getting into these types of tricks, you are going to need that little bit of help. 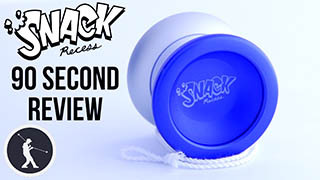 We also already talked about the response pads, how those are really extra grippy, and then the ability to do finger spins on this yoyo is particularly nice, even coming off of, kind of a mediocre throw, you can still get a really long finger spin out of this yoyo. 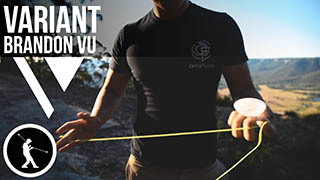 It is not like one of those yoyos that is foolproof, you do need a little bit of skill to get your finger centered into the center of the yoyo. 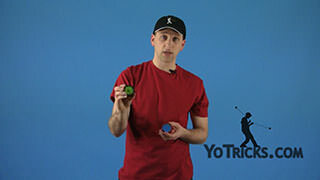 But even if you throw the yoyo a little bit crooked, what you will find is that more often than not, your finger just drops into the center with no effort at all. And it really works great. 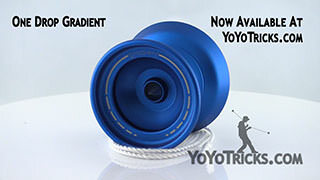 So, when you look at this yoyo as a whole, you know, you have got the two different colors at launch, you have got the blue and the silver, both of them work really well. It is machined to precision with the plastic and the metal going together, so that gives it all those great characteristics. And it is really just going to stand out among any collection. 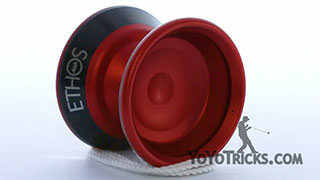 We think that is good reason why this one is a great yoyo to consider. 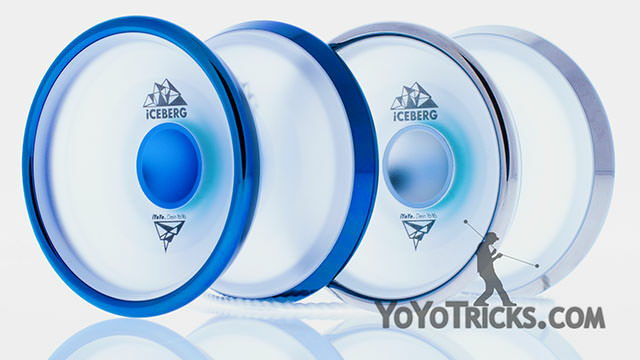 So that is the iYoYo iCEBERG.